As far as performance memory goes, G.SKILL are a top choice for enthusiasts due to their reliability and readiness to slip in high-performance ICs into their memory modules. 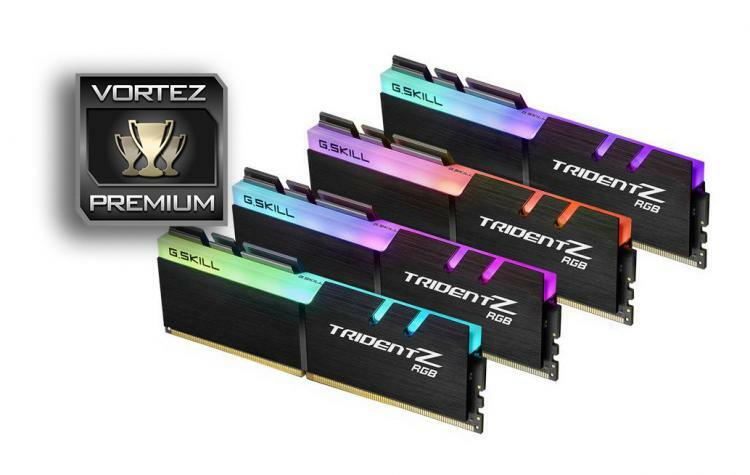 Though, if you are looking for a high-performance RGB memory kit, you may have felt like you are at a loss? Not anymore, G.SKILL have Trident Z RGB memory at ridiculously high frequencies and in a whole range of capacities which are waiting to light up your system. There is little point in us mentioning alternatives in regards to non-RGB LED memory kits, if you are not a fan of RGB lighting, then you will undoubtedly not be interested in this memory kit. It is no secret either that you will likely be able to find a better overclocking kit guaranteed to be using Samsung B-Die ICs for around the same price as you would expect to pay for an equivalent Trident Z RGB kit. So your wallet will be taking a hit if you want RGB memory modules combined with blazing fast frequencies. That being said, G.SKILL are offing ultra-high performance RGB memory modules, and if you simply must have them, you will not be disappointed by the vibrant colours and the special effects afforded by the ASUS Aura Sync. There is an added benefit of a dedicated software download too, giving control of the Trident Z RGB lighting, so you won't be left out should you not own an ASUS motherboard. However, it is in BETA, and there are known conflicts with other RGB LED control APPs and until there is an industry standard for RGB lighting effects across all brands/products (I think that time will come soon) there will always be a need to dance between different APPs to get your setup exactly how you want it. If you enjoy RGB LED lighting but also want a non-compromise, high-performance memory solution, G.SKILL have the answer with the Trident Z RGB.